I am still going through the pictures I took during our stay in the Four Corners area and our visit to Mesa Verde National Park. 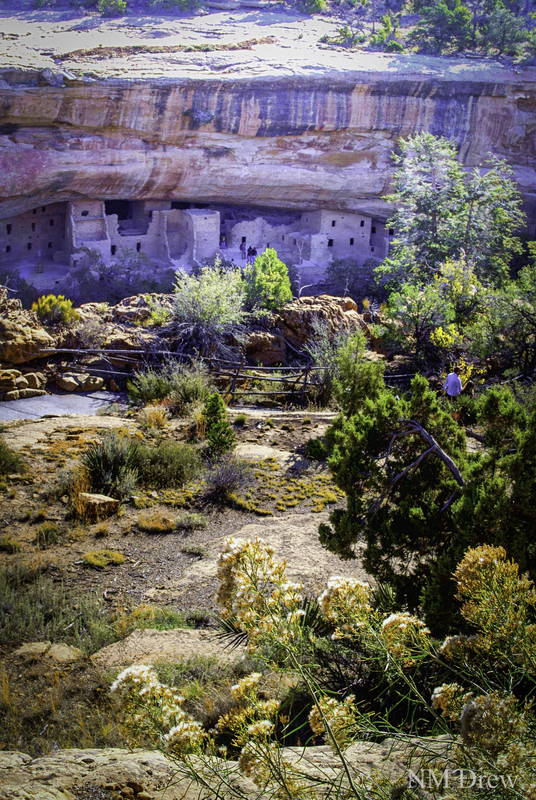 The colors of the high desert, combined with the sudden appearance of a cliff dwelling, are breath-taking. As you descend toward the Spruce Tree House, glimpses are caught here and there. Can you imagine the surprise of seeing these buildings tucked underneath a sheer cliff, with no apparent access? Trees above, canyon below, with only ropes and ladders and narrow paths to come and go. Previous postWhat Have You Seen? Thanks! It is a beautiful place to be. I’ve got more of these . . . sort of distracted by more pictures!